Hi guys! I finally got into Urgent Care this week, and found out that I did not have a sinus infection like I thought. Instead the doctor told me that I have strep throat. I'm over 30 years old, and I have never had strep throat in my life! Anyways, the antibiotics are helping, but I still feel pretty run down, so I have another pretty quick post for you all. 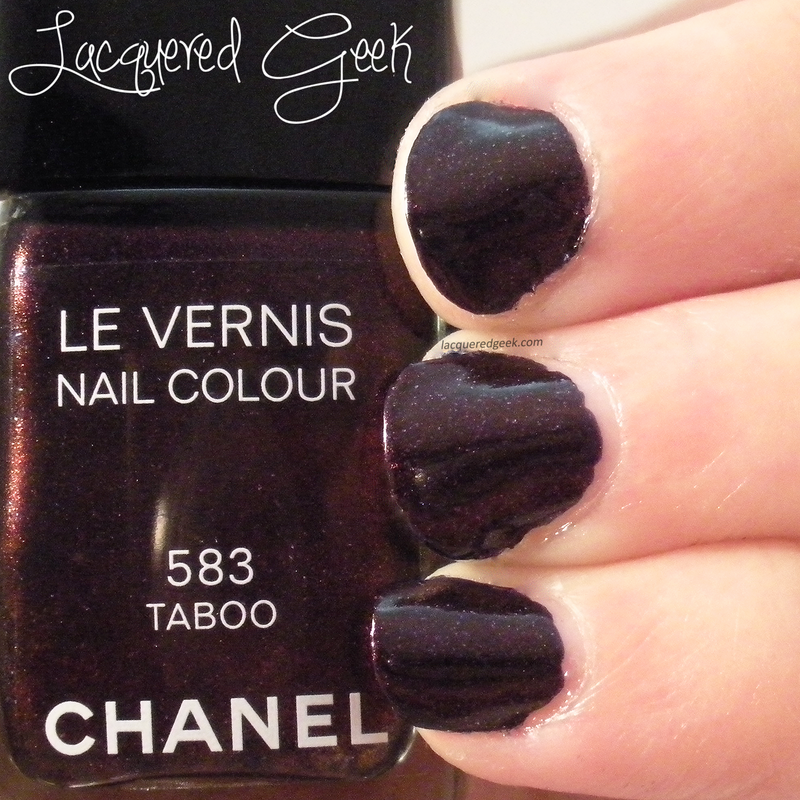 This beauty is Taboo from Chanel. It was my very first "high-end" polish. My husband bought it for me for my birthday when I was first getting into nail polish. He balked a bit at the price, but he loves me so I got it anyway! 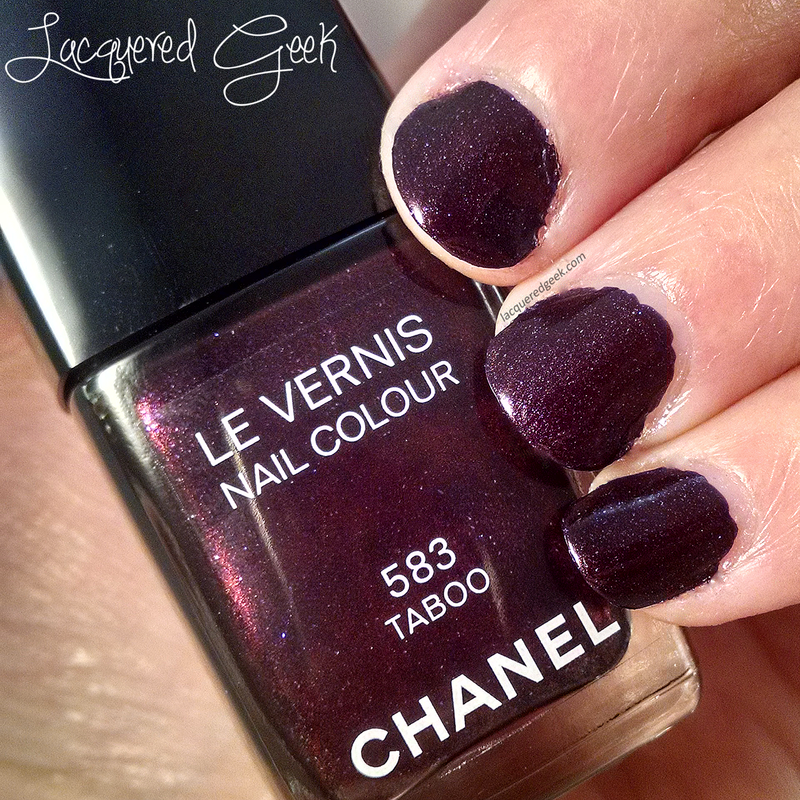 Taboo is a blackened plum with gorgeous blue shimmer throughout. 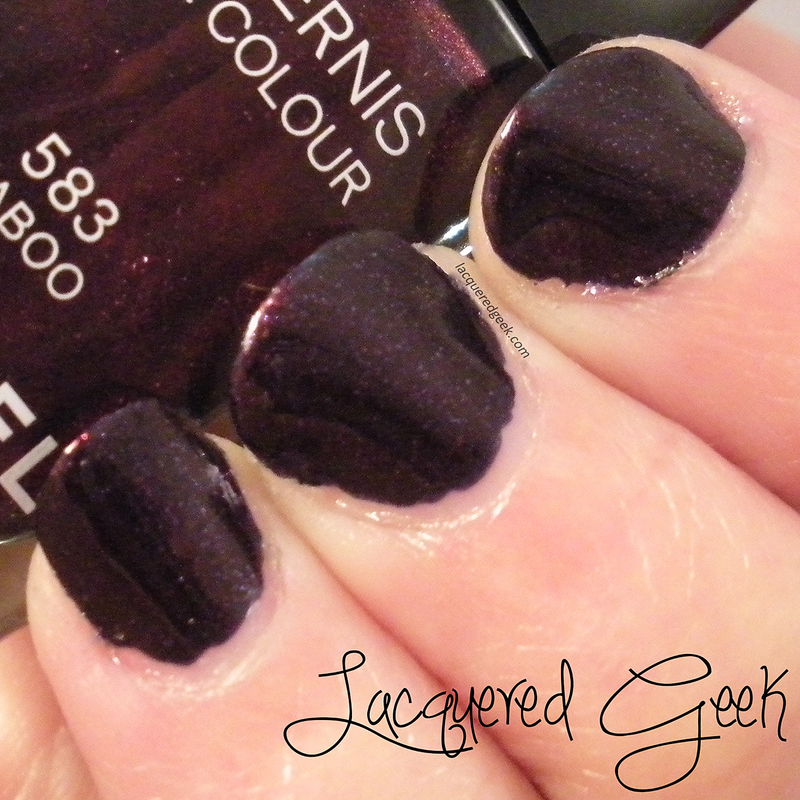 It is perfection in just one coat, and as an added bonus, it dries super shiny! These photos are with no top coat. Isn't it gorgeous? It is still one of my absolute favorites!